Raleigh, NC -- Pagan Pride Raleigh 2013 booth space has sold out, but with 50 days to go and almost 100 vendors, anything could happen. 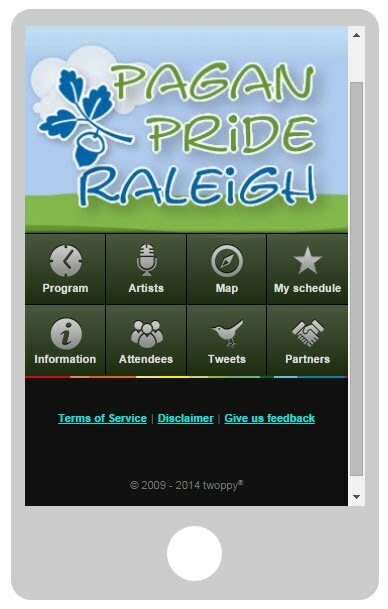 So, if you wanted a booth space at the 2013 Pagan Pride Raleigh event, it might not be too late. Use our online Booth Waiting List to get a chance at spaces that become available. If you are next on the waiting list and a booth space becomes available we will notify you by email, giving you 3 days to reserve the booth before we notify the next person on the waiting list. The price is $95 for a 10'x10' festival booth for the entire weekend.